As a passionate mountain biker, you probably wish to stay informed about the brand new models that are constantly hitting the market. Now, what is the best way to achieve that, other than the constant reading of online biking websites, bike brochures, and best mountain bike magazines. Moreover, is there anything more inspiring rather than reading some good riding story, tip, or bike trick? However, sometimes you are lacking the motivation to grab your bike and go out there into the wild. There is nothing motivating as a inspiring mountain biking story on the mountain bike websites. Now, where can you find those stories? Try with mountain bike magazines. Prior to go for this list of MTB magazines, let's find out some more reasons for reading online mountain bike magazines. 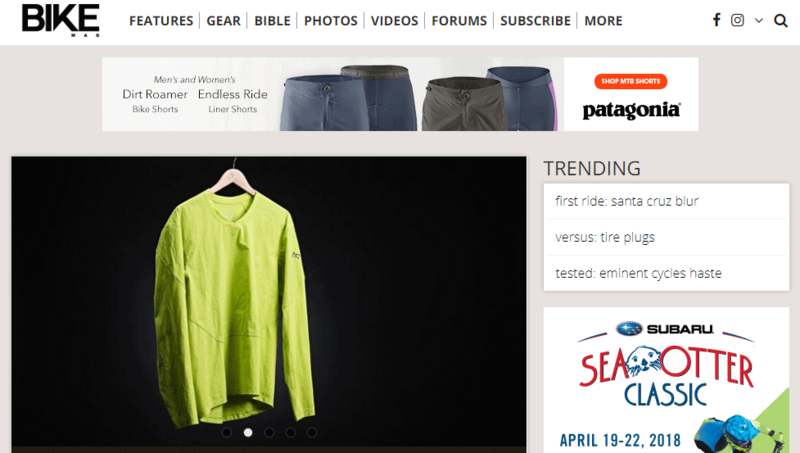 1 Why should you read mountain bike magazines? Why should you read mountain bike magazines? Nowadays, we don’t find much free time often for our outdoor biking activities. Well, if you can’t be on those 2 wheels, at least you can read about it. There are many good magazines that can provide fun, information, and inspiration. Furthermore, as a mountain biking lover, you might prefer those old-school magazines which can be held in your bare hands - paper ones. No worries! Those magazines have their online versions which are equally good. One of important reason for reading magazines is the opportunity to keep yourself enrich about mountain biking skills, tricks or any biking hacks that you don't know. Most experts share their skills, experiences and even training series through the awesome article on the popular magazines. Now, we will present what we consider to be the top 5 best mountain bike magazines. You can check out the full rundown in the section below. Being in print since 1989 this action magazine offers a lot of fun and colorful pages. Even though it’s an old-school magazine, it has its own online website for those that are stuck to a computer. Anyhow, throughout its age of existent, this magazine managed to stay relevant and becomes one of the top mountain biking magazines over the time. What you can find it this magazine is some of the main biking news, racing updates, gear reviews, and in its online version- videos which are educative, yet fun. Furthermore, there is a unique section that this magazine offers - Advocacy section. Some of the topics about land conservation, trail access, or even sexism that’s present in mountain biking are also frequently discussed. Finally, this magazine has done numerous interviews with some of the leading faces in mountain biking industry. All are available online, as well as some videos of rebuilding bikes, vintage racing, and many more. For almost more than 20 years, Bike Magazine is one of the best MTB magazines. What makes it better than other magazines is its content quality. Starting from feature section, you can see original and well-written content by some of the experienced mountain bikers. Furthermore, this magazine covers a great range of topics, starting from bike competitions to trails including regular feature on some of the new bike manufacturers, and ending with memorials of some biking brothers. Moreover, there is an opinion section where most of the mountain biking lovers find hilarious, with jokes in the right places and humor that can’t leave you indifferent. Simply speaking, you can explore great places for biking by the amazing images. Other than that, in online version, there are countless videos and so-called RideMonkey forum which helps you connect with other readers. All in all, this magazine offers pages of fun, information about gear, new bike models, and update on every bigger mountain biking event. Now, what can be found in this magazine is pretty varied features, high school mountain bike racing, Enduro squad racing, and some of the features on pro-cyclers Remy Metailler and Brandon Semenuk. Anyhow, this magazine has been criticized in the past for reviewing only high-end equipment and bikes. Nowadays, they seem to be working in this field, trying to review some products which are accessible to every type of rider. Also, this magazine does something that others don’t - they compare actively pieces of gear or similar bikes. This sometimes opens a healthy discussion on both sides of the table. Anyway, this MTB magazine has a great online website, in which you can easily navigate through pages and well organized categories. Be sure to check up on this one - it’s not only top 5 on our list. Now, what we have here is a totally different type of a magazine. The reason behind is probably because it is formed by those that ran Peloton magazine- one of the favorite road biking magazines. Anyhow, this magazine does not tend to be the most commercial mountain biking magazine. But the people in charge of this magazine are a true mountain biking lovers with a great passion for what they do. Anyway, reading this magazine might give you some post-riding kind of felling. Furthermore, this magazine is more like down to earth kind of magazine- the one that you would read in your favorite brewpub while drinking fine craft beer. What you can find here is an amazing art and bike culture, as well as a yearly free subscription when you sign up for its online version. You can check great gear reviews, educational interviews, and reviews from some of the best bikers out there. This magazine is one of the best mountain bike magazines considering overall impression of both - paper and online shape. With a simple website to navigate and it's colorful images in the paper form, this magazine also offer the countless amount of info to a passionate mountain biking lover. Starting from industry news, you can find some of the main mountain biking industry topics, racing news that announces some of the bigger events worldwide, and blog - a place for numerous discussions over models, gear, and events. In its online form, you can catch up with some of the educational videos, and interviews of some of the best cyclers out there. All in all, this magazine is well-worth buying or visiting their website. 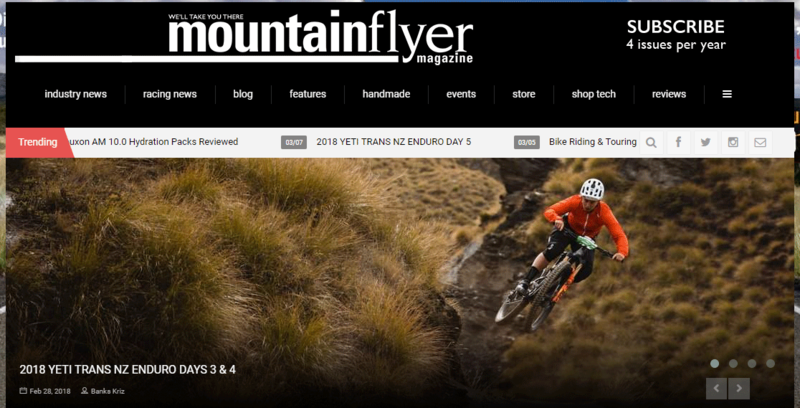 Besides there 5 best mountain bike magazines, there are more popular MTB magazines available online. Mountain bike rider, International mountain bike magazine, Enduro mountainbike magazines are also popular magazines you can check. As we said earlier, these 5 best mountain bike magazines are some of the best MTB magazines as per research. For every single one of these, you will find the online version easily if you are stuck to your computer and you want to say good to your boredom with exciting MTB news. Anyway, we hope that we made your pursuit for the best mountain magazines a bit easier.